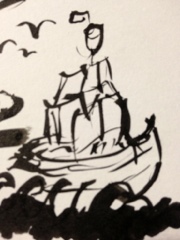 I've always like anything nautical when it came to drawing. And what's more fitting than a boat :) Thanks for Visiting ! !